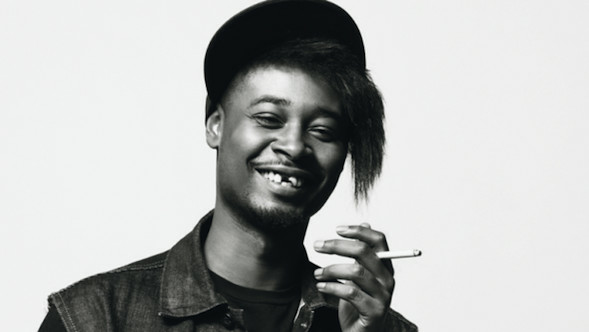 For years, Danny Brown has been as well known for his experimental, high-energy music as he has been for embracing his distinctively chipped teeth, incorporating his imperfect grin as an integral part of his personal eccentric brand. However, the days of the rapper's unique smile accenting his quirky persona are now a thing of the past. Governors Ball 2017 | Danny Brown performs "25 Bucks"
Taking to SnapChat, the Detroit native showed off that he recently made an appearance-changing decision to get his front teeth fixed, and judging from the photo, he's been smiling from ear-to-ear ever since. "They say the kid got his chipped toothed [sic] fixed," the Brown captioned his selfie, referencing a line from Nas' "Got Ur Self a Gun." In past interviews, Brown has revealed that he busted his teeth when he was hit by a car while riding his friend's bike. Looks like it was time to upgrade his smile! Take a look below. Danny Brown spent $70,000 to clear samples on "Atrocity Exhibition"